There is this tendency to think that if you could only find the magic way, then you could become a poet. "Tell me how to become a poet. Tell me what to do." . 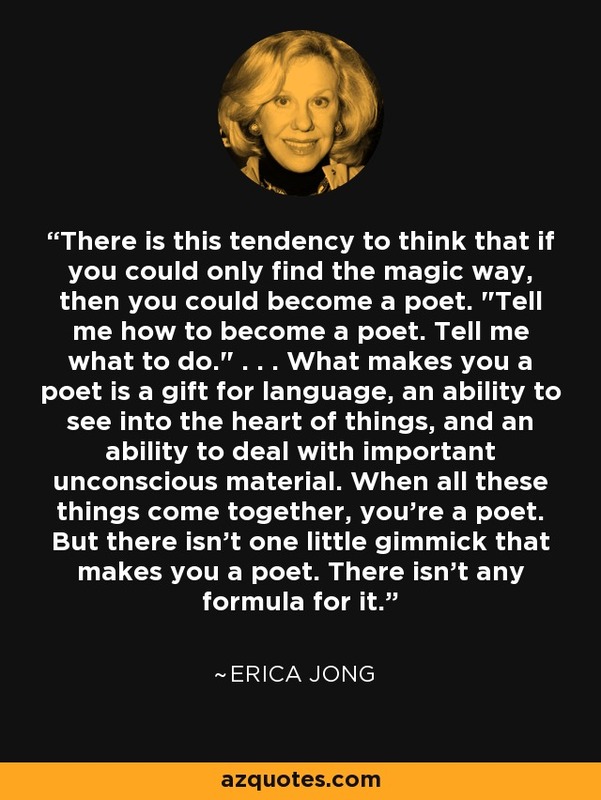 . . What makes you a poet is a gift for language, an ability to see into the heart of things, and an ability to deal with important unconscious material. When all these things come together, you're a poet. But there isn't one little gimmick that makes you a poet. There isn't any formula for it.